If you’re an Apple user, you probably have heard of iCloud Photos. 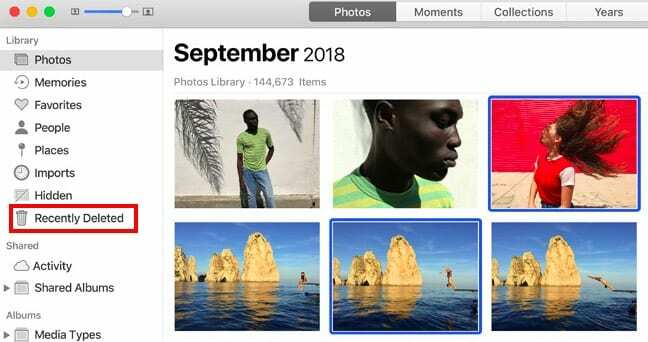 While some users likely know quite a bit about iCloud Photos, others may be confused about certain features — or even confused about what it really does. With that in mind, here’s everything you need to know about iCloud Photos and how to use it. We have also included a video at the end that highlights 15 common iCloud tips and tricks. 3 How Can I Access iCloud Photos? 4 Are iCloud Photos Optimized? 7 What About iCloud Photo Sharing? 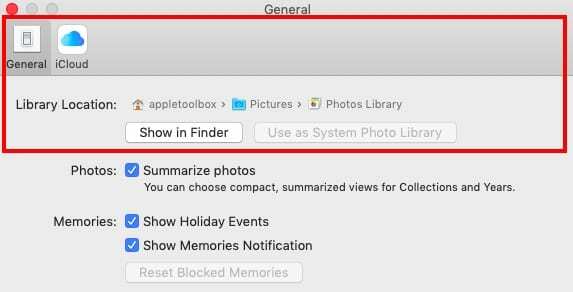 10.6 Can I Turn Off iCloud Photos on a Single Device? 10.7 Can I Delete All iCloud Photos Content? 11 Want More? Take a Look at Our iCloud Top 15 Tips Video! 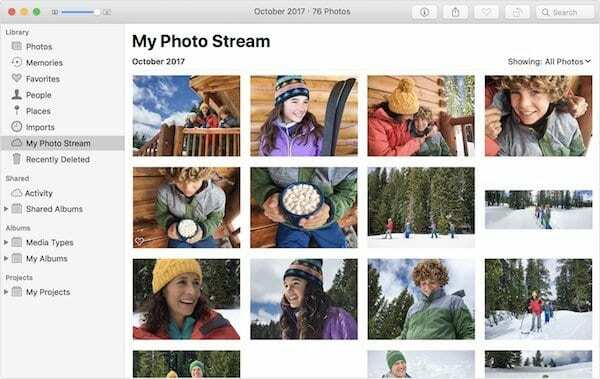 Basically, iCloud Photos is a free platform that automatically syncs all of your images, videos, and other media across all of your Apple (and even non-Apple) devices. You can access this media cross those devices whenever you want. But it gets a bit deeper than that, and some parts of iCloud Photos warrant explaining. For example, one handy feature of iCloud Photos is that it automatically synchronizes edits across your devices. Tweak a photo on your iPhone, and you’ll be able to see those edits on your iPad — all because those images live in the cloud. The feature can also help you save space on your devices by offloading the original images. One point of confusion when it comes to Apple photo storage is the difference (and similarities) between iCloud Photos and My Photo Stream. There are some differences when it comes to the two, but they basically boil down to this: iCloud Photos is a cloud-based platform, while My Photo Stream isn’t. Basically, My Photo Stream just sends images you take on one device to your other devices with the feature enabled. The edits you make to specific photos won’t sync, and you’ll need to delete each image on each device manually. It’ll also download images to certain devices in a smaller resolution than they were captured. On the other hand, using My Photo Stream doesn’t use up any iCloud storage. When compared to each other, My Photo Stream is a more straightforward service that lacks the feature set of iCloud Photos. Unless you have a good reason not to, we recommend choosing iCloud Photos over My Photo Stream. Note: Before you begin, you’ll want to make sure that iCloud is set up on all of your devices. Also, all of your devices will need to be signed into the same Apple ID. On iOS devices running iOS 10.3 or later, open the Settings app. Tap on the Apple ID card —> iCloud > Photos. Then, toggle iCloud Photos. On Mac devices running OS X 10.10.3 or later, open System Preferences. Click on iCloud, then click on Options next to the Photos icon. Finally, toggle iCloud Photos. On Apple TV 4K and Apple TV with tvOS 9.2 or later, go to Settings —> Accounts —> iCloud —> iCloud Photos. It’s worth noting that you can’t activate iCloud Photos from the iCloud browser site. 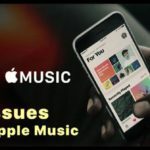 But, once you activate iCloud Photos on one of the devices mentioned above, you should be able to access your media library from the iCloud.com. How Can I Access iCloud Photos? While iCloud Photos is a native Apple platform, you can actually access media content stored on it on a variety of different devices. Here’s how. Apple makes accessing iCloud Photos extremely painless on its own first-party devices. On iPhone, iPad, iPod touch and Mac, all you need to do is open the Photos app. Your iCloud Photos will be synced to your device automatically (as long as you have the feature enabled). You can also access iCloud Photos content on your Apple TV by going to the Photos app. 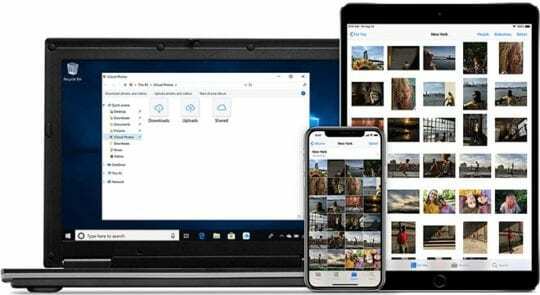 Luckily for iPhone and iPad owners who also use Windows computers, Apple has made it reasonably easy to access your iCloud Photo Library from any PC. All you need to do is download iCloud for Windows. Once you set it up, iCloud Photos will appear as a folder in Explorer. It’ll be further broken down into three categories: Downloads, Uploads, and Shared. The Uploads folder can be used to upload images to the iCloud Photos Library from your Windows PC. Very handy. The Shared folder is simply a way to access any Shared Photo Album that you have access to. Alternatively, you can access your iCloud Photo Library from any browser by going to iCloud.com. Unfortunately, there’s not a clear way to access iCloud content on an Android device. With that being said, there are a couple of workarounds you can try. For one, you can simply attempt to access the iCloud.com site on Google Chrome (the default browser form out Android platforms). 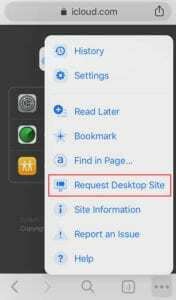 Be sure to tap on the menu button and select the Desktop site. This will only give you limited access to your media, however. If you’d like more expanded capabilities, you may want to consider a third-party app solution like iCloud for Android Assistant. There can be a bit of confusion when it comes to iCloud Photos and image optimization. So we’ll set the record straight. Every image or video you take is stored in iCloud exactly how you took them. That means they’ll be in their original format at full resolution — no optimization. On the other hand, there’s an Optimize Storage option in Settings —> Photos. That’s the confusing part, but it’s easy to “get” once you understand. 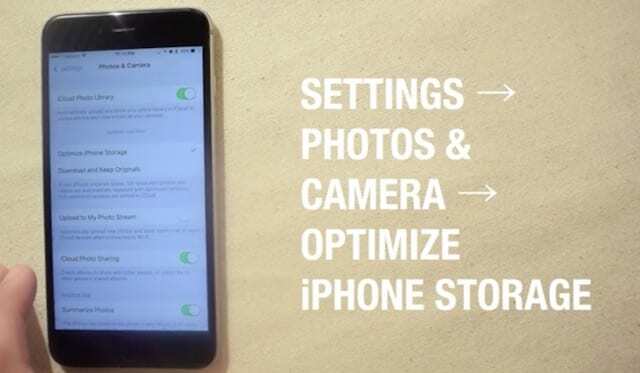 Even with Optimize Storage enabled, the originals in iCloud Photos are not affected and will be stored in their original resolution and quality. You can still download the original photos and videos over the internet when you want to access them. But what about the Download Originals setting? Well, if you enable it, iCloud Photos will then store the original images both in the cloud and on your device. iCloud Photos can help you make the most of the space on your Mac. When you choose “Optimize Mac Storage,” all your full‑resolution photos and videos are stored in iCloud in their original formats, with storage-saving versions kept on your Mac as space is needed. This is important to keep in mind if you plan on using your MacBook storage to save your original Photos. 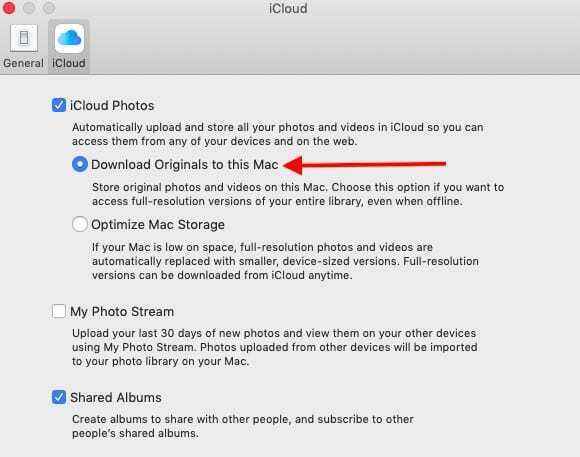 As we alluded to, you can still access and download the original copies of your photos on iCloud.com, iOS or Mac. On iOS and Mac, this mostly comes in handy when you’ll like to share original media to another device. That’s because Photos automatically shows you iCloud Photos images on those platforms when it’s enabled. Go to iCloud.com and click on Photos. Select the images and videos you’d like to download. Then, click and hold the cloud download icon in the upper-right corner of the window. On iOS, open Photos. Select the images and videos you’d like to download. Tap the Share icon and select the device you’d like to share the images with. On Mac, open Photos. Select the images and videos you’d like to download. Drag the content directly to your desktop. Alternatively, you can right-click and select Share > AirDrop. Is there a way to “select all” when you’re trying to download iCloud images? In a word: No. Unfortunately, no matter which platform you’re in, you’ll need to tap or click on each image to select it individually. 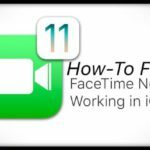 If you’re on an iOS device, you can speed this process along by tapping and dragging across multiple photos very quickly. But no matter how you’re accessing iCloud Photos, it’s still a tedious process. If the platform has a downside, it’s this. 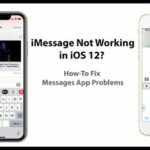 The one workaround that folks use on their iPhone to select Multiple photos to delete is to use a Third party app on your iPhone that facilitates selection of multiple photos. The iPhone app is called hashphotos. It’s a photo manager app and let’s you select all. After you select all, you can delete and the pictures will get deleted from iCloud. This is one way via which users are able to delete a large number of photos from their iCloud without having to select one by one. The other workaround that we use is to download all the photos to your MacBook as originals. Once they are downloaded, you can select multiple photos, search through them using spotlight et al and take other actions. (More on this in the backup section below). Luckily, deleting images from iCloud Photos isn’t hard — at least, not in most versions of iOS. As long as you’ve enabled iCloud Photos on your devices, it’s a one-step process. Just go to your Photos app, select an image or video, and delete it. That photo or video will be automatically removed from iCloud Photos. On the flip side, you won’t be able to delete media from iCloud Photos on your devices that don’t have the feature enabled. If you’re using iCloud Photos on your iOS or macOS device, you can recover images from the Recently Deleted folder within 30 days of deletion. Alternatively, you can also go to iCloud.com on any web browser. From there, just click on Photos and Recently Deleted album. Then select a photo and click on Recover. In the browser version of iCloud, you can recover media within 40 days of its original deletion. Previously, iCloud Photo Library and iCloud Photo Sharing were two separate-but-related cloud-based services. If you’re using an older version of iOS, you may even notice that iCloud Photo Sharing had its own toggle in the Settings app. Essentially, a Shared Album is a cloud-based photo album that you (and others) can upload content to. Everyone on the Shared Album can view content, comment or like, and save and upload their own media. You can create a Shared Album by tapping the + icon in the Albums tab in Photos. It’ll walk you through the rest of the process. First off, you may be wondering where your Camera Roll went. Well, for better or worse, the iCloud-based All Photos album automatically replaces the Camera Roll when iCloud Photos is enabled. This doesn’t affect much, however. The All Photos album still functions like a Camera Roll, but those images are automatically sent to the cloud. Which is another thing work noting: iCloud works in the background automatically. Once you take an image or video, that piece of media will be uploaded to iCloud without any input. As we previously mentioned, any edits will also be saved automatically. Similarly, any media you delete from one device will be removed from your iCloud Library. 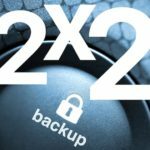 These images are also not duplicated in your backups, so you don’t have to worry about your pictures and videos bumping up your backup size. Also, depending on your circumstances, it may take some time for your media actually to upload to iCloud. You can check the status by going to Photos on your respective device. Why worry about backing up your iCloud photo library when Apple automatically does it for you on its iCloud platform? Well, It is never a bad idea to have multiple backups just in case something goes wrong with the iCloud photos or you loose your Apple Id. Redundancy is a good idea when it comes to preserving your precious moments. The external backing up your iCloud Photo Library can be achieved using a Mac. If you regularly backup your Mac /MacBook using Time Machine, you don’t have to do anything since the original photos will now be automatically backed up. These downloaded originals are available in the Picture folder on your MacBook. You can see the location of this folder in your Photos App Preferences. In iOS 12.1/12.2, there is also another location on your iPhone settings that provides additional guidance. When you tap on Settings > Photos and scroll down to the bottom, explore the section called ‘TRANSFER TO MAC OR PC’. Here you have the option to set it up to transfer originals or transfer the photos in a compatible format. 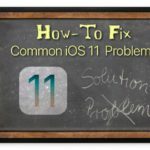 While iCloud can be a bit confusing, it’s actually a relatively simple system to use once you understand it. iCloud is a pretty reliable system, and it’s designed to work in the background without any input on your end. On the other hand, there may be scenarios in which your iCloud content isn’t syncing or showing up on other devices. In the vast majority of these cases, it’s likely that they just haven’t uploaded to the cloud yet. How fast the upload process depends on your cellular or internet connection. If it’s taking a while, you can see a progress bar by opening the Photos app and navigating to the Library in Moments. There should be an upload status bar at the bottom of this menu. On Mac, images or videos that have yet to upload to the cloud are stored in a smart album. One way to handle this issue on your MacBook is by using the smart albums. This is usually true when you find that you have many photos on your MacBook that are not in iCloud for some reason. Follow the steps below and see if it resolves the sync issues on your Mac. If you see any photos return in the results of the above condition, make sure that you have originals of these photos and delete them from your library. 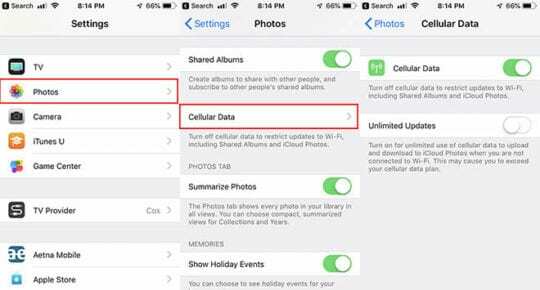 If iCloud Photos is eating up your cellular data on an iOS device, you can adjust a couple of settings to compensate for it. Firstly, you can go to Settings —> Photos and tap on Cellular Data. There are two toggles here. Flipping on Cellular Data will allow for recent media uploads to the cloud over cellular data, but will “prefer” uploading Wi-Fi uploads. Flipping on Unlimited Updates means that your device will always sync photos on cellular data. If you’d to save data, you may want to make sure that both are disabled. You can also pause a single day’s upload in Photos > Moments. Just press Pause, which is near the upload status bar. While it’s a cloud-based platform, iCloud Photos still has a finite amount of storage. Basically, you can use the storage that you pay for. You automatically get 5 gigabytes of iCloud storage for free just for having an iCloud account. If you need a bit more space, you can buy it for a set monthly fee. For example, 50GB starts at 99 cents. You can choose up to 2TB of extra storage. Recently users that upgraded to macOS Mojave and had APFS Encryption turned on, found a weird error when working with their iCloud Photos. 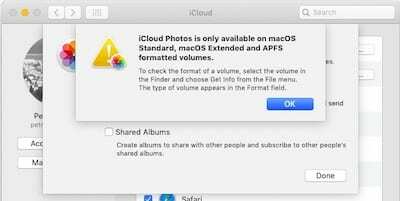 The error suggests that iCloud Photos is not compatible with APFS formatted volumes. If you find yourself with this error after upgrading to macOS Mojave, just restart your MacBook and this problem goes away. Can I Turn Off iCloud Photos on a Single Device? Sometimes, you may not want images or videos from one particular device to be automatically uploaded to the cloud. Or you just may not want your iCloud content available on your Apple TV. Luckily, you can switch iCloud off on individual Apple products. Here’s how. On iOS devices running iOS 10.3 or later, open the Settings app. Tap on the Apple ID card —> iCloud > Photos. Then, toggle iCloud Photos off. On Mac devices running OS X 10.10.3 or later, open System Preferences. Click on iCloud, then click on Options next to the Photos icon. Finally, toggle iCloud Photos off. On Apple TV 4K and Apple TV with tvOS 9.2 or later, go to Settings —> Accounts —> iCloud —> iCloud Photos. Toggle iCloud Photos off. Can I Delete All iCloud Photos Content? If you’d like to delete content from iCloud Photos, Apple gives you the option to deactivate the feature. On iOS, go to Settings—> Apple ID card—> iCloud—> Manage Storage—> Photos. Tap on Disable and Delete. On Mac, go to Apple menu —> System Preferences —> iCloud. Click on Manage and then select iCloud Photos and Disable and Delete. We hope that you found this comprehensive guide on iCloud Photos useful and informative. As always, we encourage you to share your comments, questions or your favorite tips with our readers. Want More? Take a Look at Our iCloud Top 15 Tips Video! I’m using a Lenovo Yoga. My iCloud photo download doesn’t appear in the download folder. I don’t even see a choice as to where to send it. I don’t know how to find the default selection. I also don’t see Safari. All the help I find is about Safari not Chrome. Sorry if the instructions for Windows aren’t up to snuff! Please open the iCloud app (search for it) and run it as admin. Once the iCloud app opens, tap the Options button next to Photos. This should open a window with all your iCloud photo options, including where your iCloud photos automatically download to. Tap change to alter the location. Make sure you check the box for iCloud Photo Library, Download new photos and videos to my PC, Upload new photos and videos from my iPhone, and if desired the boxes for My Photo Stream and iCloud Photo Sharing. iCloud Photos has been disabled on all your devices and new photos and videos are no longer uploading to iCloud. Original format, full resolution versions of your photos and videos are not stored on your devices. You must download your full resolution photos and videos to at least one device before they are deleted from iCloud Photos in 30 days. Will the photos in my devices be also deleted after 30days? 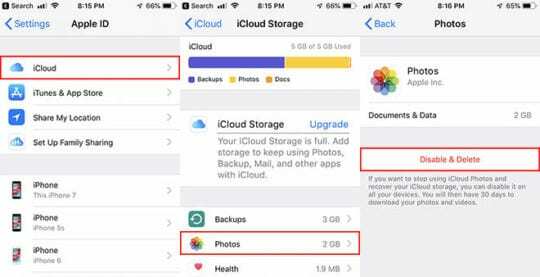 If you download the full resolution of all those iCloud stored photos and videos to your devices, Mac, or Windows PC and then make sure that iCloud Photos is toggled off on all those same devices, then your photos and videos should not delete after 30 days. 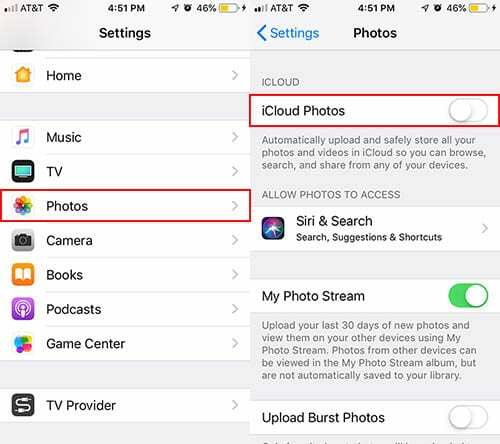 For thepPhotos and videos that are stored in your account for those 30 days, download them to your iOS devices by going to Settings > Apple ID Profile > iCloud > Photos and select Download and Keep Originals. For Windows PC, open iCloud for Windows Settings and nex tot Photos, select options, then choose Download photos and videos to my PC. If iCloud Photos remains on on ANY device after those 30 days, then yes, those photos will be deleted after those 30 days expires. Lots of people (most people?) have many photos that are on both their iPhone and their Mac. In some cases, the photos have been edited on the phone, sometimes on the Mac, sometimes on both. 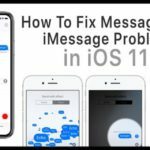 Is there any strategy for which device to turn on iCloud Photo Library first? Should I wait for the first upload to complete before switching the next device on? Thanks for the great question. It doesn’t matter which device you turn on iCloud Photo Library first. And you could turn them on at the same time if your WiFi is sufficiently fast. 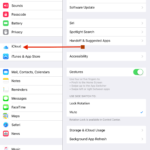 If you are concerned with your WiFi speed, then it does makes sense to toggle one device’s iCloud Photo Library on and wait for all photos to upload to iCloud before turning on iCloud Photo Library on the other device. 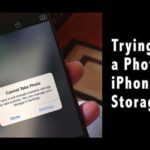 Before you start, make sure your iCloud Plan has sufficient storage for all your photos–that usually means you have a paid plan of either 50 GB, 200GB, or 1 TB. Before you begin syncing with iCloud Photo Library, also decide if you want iCloud or your devices to keep your full-resolution photos. Good luck and keep us posted on how this process goes.